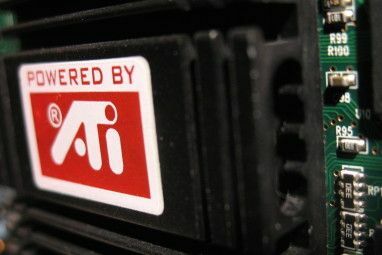 The GPU, or graphics processing unit, is the part of your computer in charge of handling graphics. In other words, if games are choppy on your computer or it can’t handle very high quality settings, it’s likely that the GPU is too weak (rather than the CPU, the central processing unit). 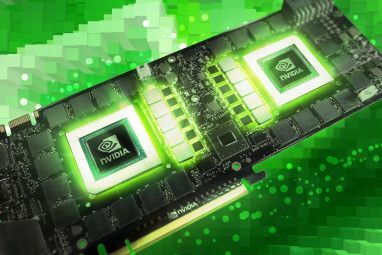 These days, many computes (especially laptops) have “integrated graphics”, which means that the GPU is actually on the same physical chip as the CPU, or on the motherboard (as opposed to a discrete video card). Still, it counts as a GPU (if a far less powerful one than a discrete GPU). If you’re not sure what sort of GPU you have and want to find out a bit more about it, free utility GPU-Z has you covered. It’s actually very similar to CPU-Z which I’ve reviewed Learn Everything About Your Computer Specifications With Free, Portable CPU-Z Learn Everything About Your Computer Specifications With Free, Portable CPU-Z Even if you’re not overly geeky, you probably have a rough idea of how much memory and what sort of processor your computer has. But what about its other statistics? For example, do you know... Read More a few months ago, only for your GPU. GPU-Z’s default tab can be a bit intimidating at first, especially if this is your first foray into GPU-related metrics. The first few fields, all the way up to the BIOS version, have to do with your GPU’s manufacturing properties. What is it called, what’s the revision number, and even what it’s physical die size is and how many transistors it contains. Name: This is NVIDIA GeForce GTX 660 above. This is the single quickest way to describe your GPU in any gaming-related forums or technical support queries. Just mention its exact name and model as shown here. Memory Size: This is 2048 MB above. A GPU is a complex beast, and many different parameters affect its performance. That said, its memory size is a key one, so you’d better take note of how much memory you have. Computing checkboxes: I mean the ones that say OpenCL, CUDA, PhysX, DirectCompute 5.0. If you do any sort of general-purpose computing with your GPU (such as mining for Bitcoin or any of the other ways highlighted in 10 Ways To Donate Your CPU Time To Science 10 Ways To Donate Your CPU Time To Science 10 Ways To Donate Your CPU Time To Science Read More ) you are going to need at least one of these, most likely OpenCL. So, this is a quick way to find out whether or not your GPU supports it. You can see just about every metric shot up noticeably. 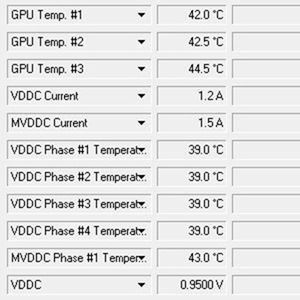 The memory load appears lower than before because I took the screenshot a moment after quitting the game, but you can see that the GPU temperature shot up from 28 to 43 Celsius, that the core and memory clocks shot up as well, etc. In other words, running GPU-Z in the background lets you estimate how far you can task your graphics card, and whether your game is slow because the graphics card can’t handle it or for some other reason. Yup: That’s the part that doesn’t work. Sad, but true – and maybe I saved you the trouble of finding this out on your own. 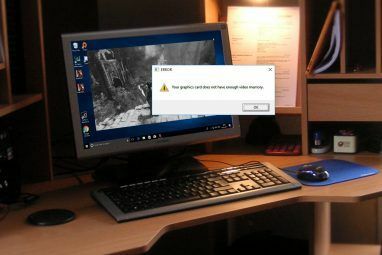 The other option, saving a simple screenshot file to disk, worked fine and produced a GIF image (yup, not a JPG) showing the contents of the window. A bit like the D7 troubleshoooting utility Have All Your Computer Troubleshooting Tools In One Place With D7 Have All Your Computer Troubleshooting Tools In One Place With D7 Do you sometimes find that you waste time digging around the PC because you can't quite remember how to check one setting or another? Well, I'm glad to inform you that the folks at Foolish... Read More , GPU-Z is a tool you won’t need to use every day, but is definitely good to have when you’re frustrated by a slow game or need a hand with figuring out what’s wrong with your computer. Did you give it a spin? What do you think? Certainly the best graphic card benchmark utility! i have back when i used to use xp but not anymore when i install seven . i think i will install it again . Am an avid gamer. And having a software like CPU-Z is real useful stuff! Wowwweeee, the image you showed giving the details of the Nvidia gtx 660 completely trounces my AMD :(, time for an upgrade.